Gradient Gives Back Foundation is a Minnesota-based non-profit organization that supports the Gradient Gives Back Community Outreach Program and devotes its resources to assisting Americans. 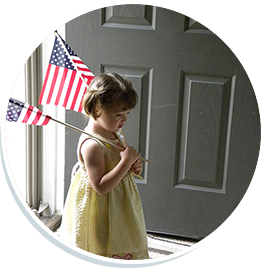 The Foundation strives to help poor, distressed or underprivileged American families who are at risk of losing their homes. It also seeks to unite communities by inspiring Americans for the purpose of charitable giving. Since its establishment, Gradient Gives Back Foundation has awarded mortgage or lease payments to numerous families across the United States and continues its commitment to actions that make immediate and real differences in the lives of families who have fallen on hard times. 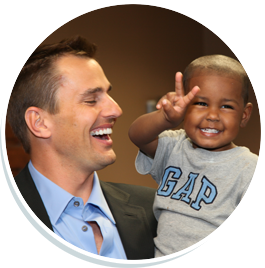 In 2009, Gradient Gives Back Foundation enlisted the help of Donald Trump’s original Apprentice and the highly philanthropic Bill Rancic to raise awareness in the search for poor, distressed, or underprivileged American families. With Rancic serving as spokesperson during 2009, word of the Gradient Gives Back Community Outreach Program spread far and wide, and the Foundation received applications from nearly 2,000 applicants. As the Foundation continues to serve its purpose, it also continues to be recognized by media outlets across the country. Impressively, the Foundation earned national recognition when it was featured on “Fox & Friends” on Fox News Channel, the former Fox Business Network show titled “Fox Business Happy Hour”, and “Money Matters” on ABC News Now. Parade magazine also published an article titled, “Can You Help? How to Lend a Hand This Holiday” that highlighted a Florida family who was awarded 12 months of mortgage payments. To date, the Foundation has been featured on hundreds of television and radio programs and print media. Gradient Gives Back Foundation has assisted families in Minnesota, Michigan, Arkansas, Ohio, Florida, Pennsylvania, Arizona, Texas, Kansas, Washington, Utah, Wisconsin, Colorado, Georgia, South Dakota and Illinois. Many financial services professionals who serve as promotional partners for the national Community Outreach Program have also stepped forward to donate six to 12 months of mortgage or rent payments to families in their local communities.